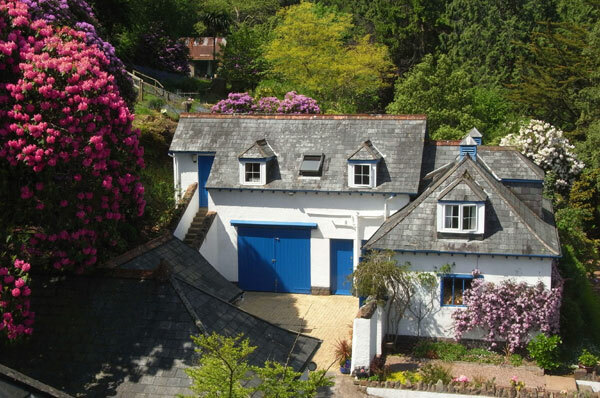 Little Hanger is a first floor flat in the original coach house / stable block and is reached by its own flight of stone steps up to a stable door. 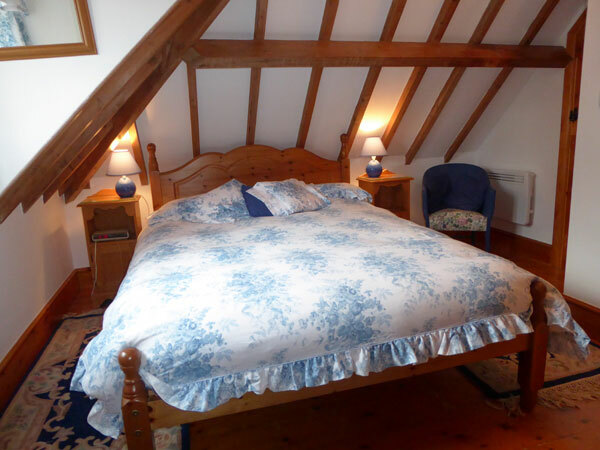 Little Hanger is a warm, cosy flat with low beamed ceilings in the bedrooms. An unusual feature is the painted floor in the kitchen, much like a gypsy caravan. The lounge area has patio doors which open out onto a private bit of garden with a terrace, barbecue area and lawn. It is only a short walk from here to the all weather tennis court. There are some beautiful sunsets over the Bristol Channel and Wales and these can be enjoyed whilst sitting out on the terrace on a summer's evening. 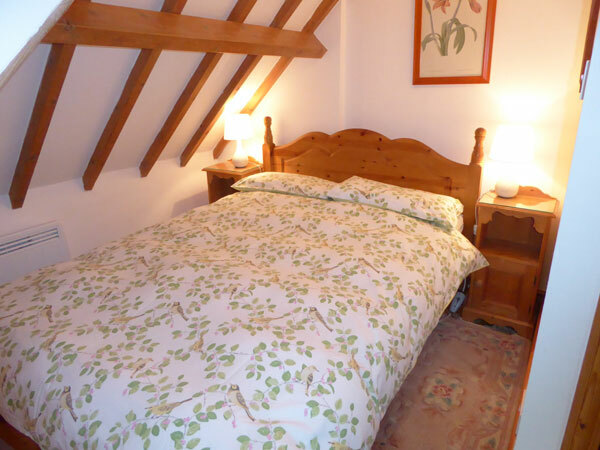 Two double rooms (one with en-suite shower) with exposed beams. 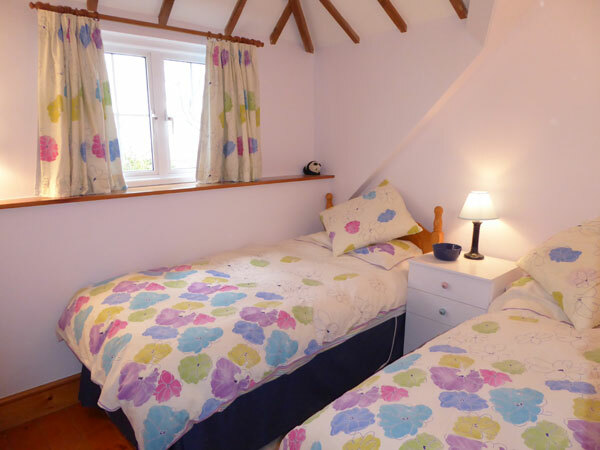 Twin room (additional cot available). Bathroom with WC, bath with electric shower over and basin. 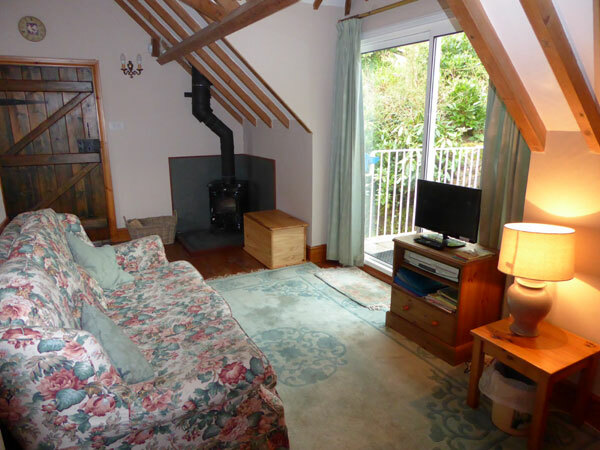 Sitting room with woodburner and free logs. 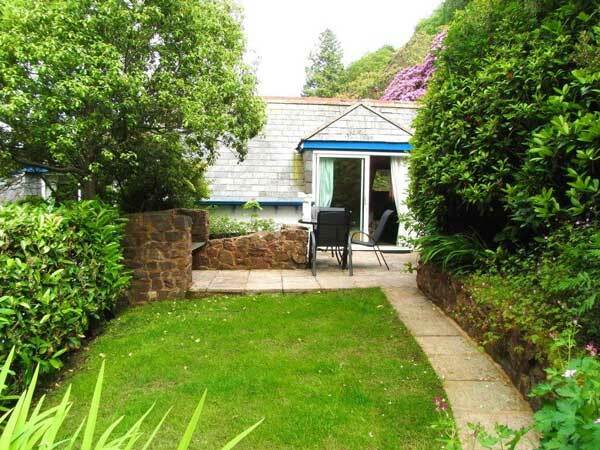 Large sliding patio door giving access to Little Hanger's own private garden on the same level. There is a terrace with barbecue area, a table and chairs and an area of lawn. Kitchen / dining area with table and chairs to seat six. The walls and floor of the kitchen and dining area have some lovely stencils. Dogs (one large or two small) are welcome in Little Hanger. To make way for the newly fitted kitchen, the tack room below the flat has been converted into a laundry room complete with washing machine, tumble dryer and hanging airer. There is also a freezer and room to store your bicycles, prams and pushchairs.